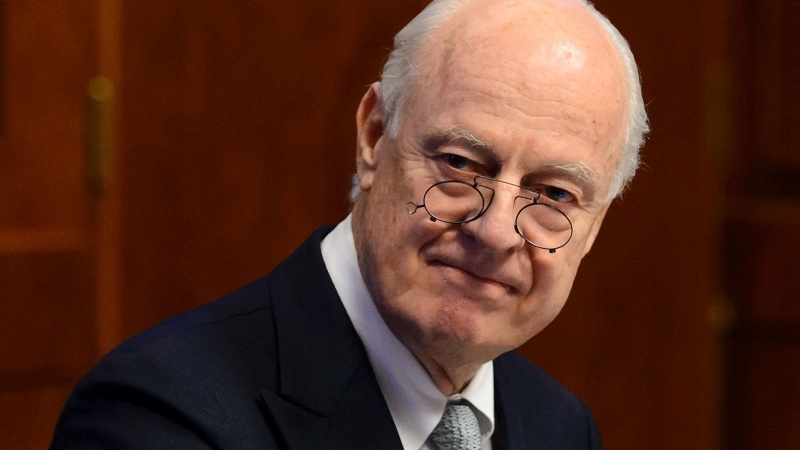 According to the Friday statement, talks among the UN diplomat and high-level officials from the three countries will focus on setting up a “credible, balanced, and inclusive” committee to draft a new constitution for Syria and usher in elections. It added that the meeting will take place ahead of de Mistura’s monthly presentation to the UN Security Council set for December 20. Late in November, the guarantor states of the Astana peace process ended their 11th round of talks in the Kazakh capital, reiterating their strong commitment to Syria’s sovereignty and territorial integrity. Iran, Russia and Turkey also rejected “all desperate attempts” by foreign-backed militant groups to undermine the sovereignty of the Syrian nation. “The Islamic Republic of Iran, the Russian Federation and the Republic of Turkey confirmed their strong adherence to the sovereignty, independence, unity, and territorial integrity of Syria,” Russian Special Envoy for Syria Alexander Lavrentiev said while reading a joint statement issued by representatives of the three countries.